If everything is going correctly your giant pumpkin plant will be growing in no time. Once the flowers start appearing on the plant, you have two options with pollinating, you either leave it up the bees to do it for you, or you do it yourself. 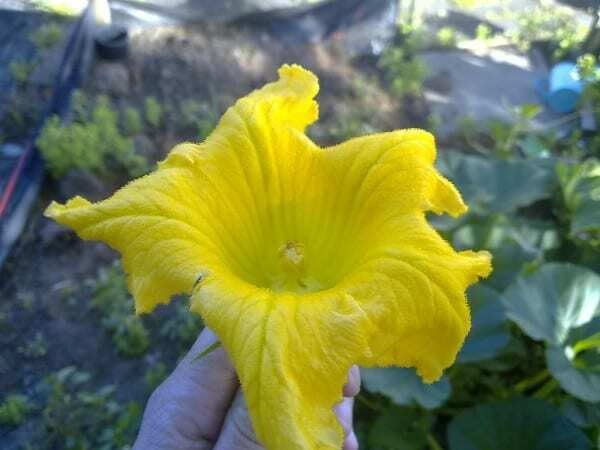 The main advantage of hand pollinating and the reason growers do it, is that you the grower can pick which female flower you want to pollinate, this gives you the best option for pumpkin position on the vine as well as increasing the chances of pollination. You also have the benefit of doing the crosses of plants yourself and not leaving it to the randomness of bees. What female flower to pollinate? Most people will say to pollinate a female flower that is located on the main vine, 3-4 metres out from the start of the plant, this seems to give the best results for most growers out there, it helps to have a couple of others pollinated as well in case of an abort early on in the pumpkins growth. First you need to know the difference between the male and female flower. 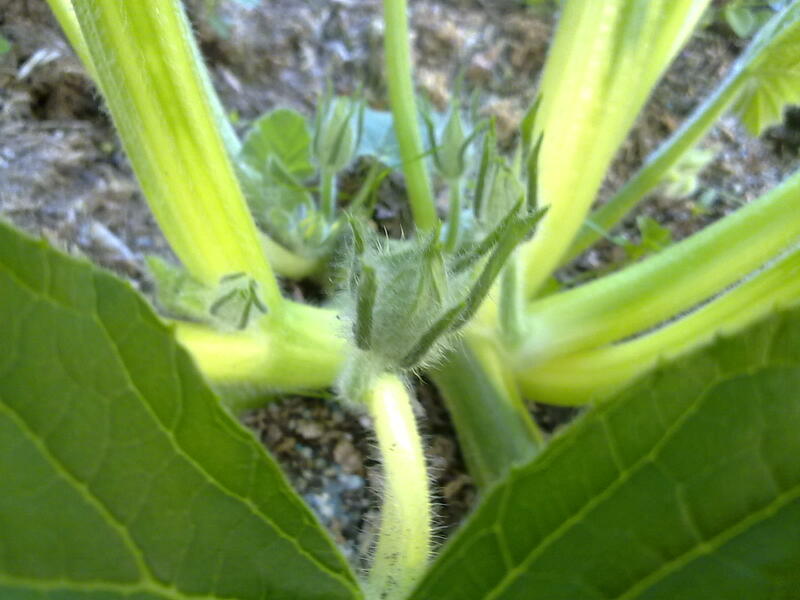 It’s pretty easy, the female flower will have a small pumpkin at its base, the male flower does not. 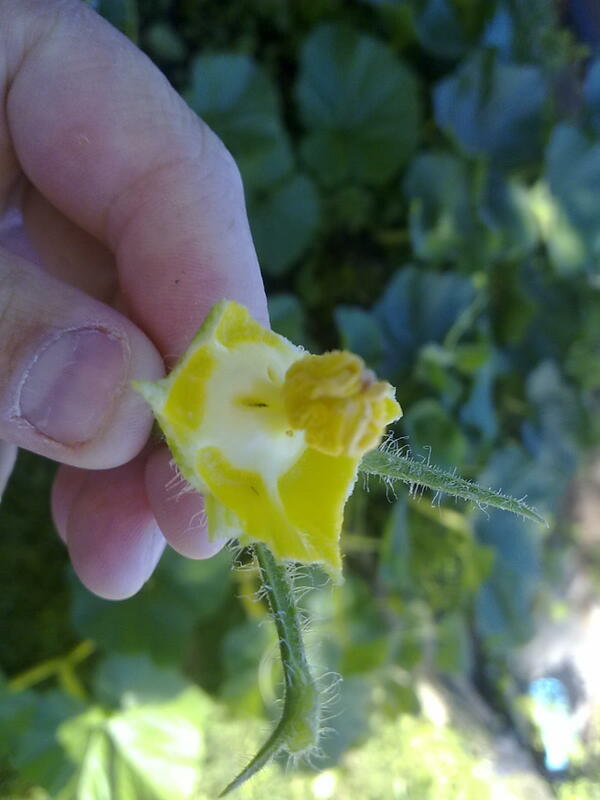 The best time to do hand pollinating is in the morning around 9am. If you do it later then this, the bees may have already beaten you to it, and there will no pollen around. 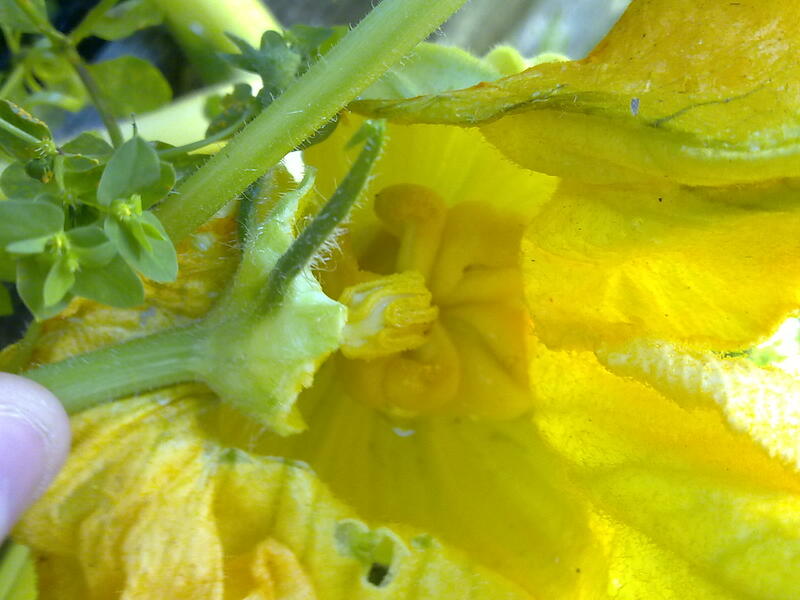 Find a newly opened male flower and pick it, removing all the outer flower petals to expose the stamen and fresh pollen. Gently swab the stigma in the female plants with this. 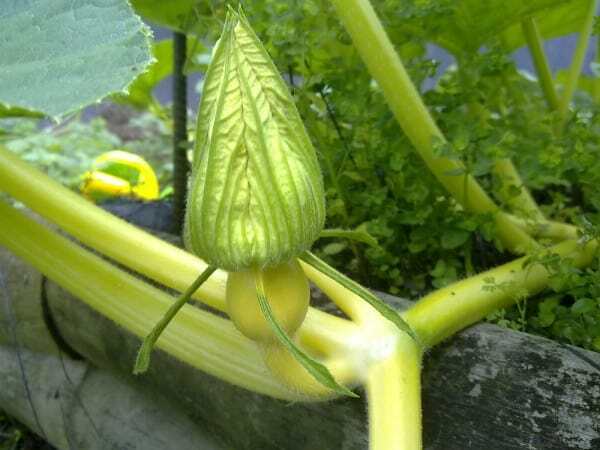 This should pollinate the female flowers.